Diapers: I am a cloth convert; a part time user for my first baby and full time user for my second (due to extremely sensitive skin). With my first, newborn disposables were welcomed. Meconium is gross and the cloth brands I trailed were very bulky for such a little bean of a baby. Everything was so new and night time was overwhelming. I was not interested in doing extra laundry in the sleep-deprived “cry if a fly lands on you” period. Plus, I liked easily folding down the disposable diaper so it didn’t rub on the umbilical stump that first week. You could also just buy the ones that have an umbilical cut out. I used newborn sized cloth (chose GroVia’s) for my second baby and was pleasantly surprised with the sleekness. I continued to with cloth predominantly for baby #3 although she didn’t have such sensitive skin and can use the occasional disposable when the need arises. If you end up using disposables part time (or full time), it is really nice to have a diaper genie. It isn’t as important when baby is under 6 months because the poop doesn’t smell bad (or maybe I should say that bad), especially if you breastfeed. After you introduce solids, a diaper genie is a must…the diapers stink to high heaven unless you bag each one individually. Initially, my dirty cloth diapers went into a big Ziploc until I washed them. That was fine for part time use. I have since bought a wet bag and it was a great investment; keeps the smell contained, no dampness, and you just throw it in the wash with the diapers. Now, my mom sews my wet bags and it is far more economical. I have all kinds of sizes. It is nice to have a small one for the quick outings, medium one for day travel (i.e. planes) and big ones or a diaper pail for home. There are MANY different kinds of cloth diaper patterns (some that arch in between the leg, some that are straight) as well as different materials (organic cotton, bamboo, hemp, etc). I chose to get a sampler pack of all the different brands to help determine what worked best after baby was born. This worked for me because my first was a HUGE pee-er and most brands leaked. Some people prefer to make a decision prior to baby’s arrival and purchase the entire volume for full time use. Some brands are sized to the weight of baby, some are one-size-fits-all, adjustable from newborn to 35 lbs. Some are fabric that you put a waterproof cover over, some are stuff-able (a pocket type system) and some are all in one (cover built in). Babes in Arms is a fantastic place to learn about cloth diapers. They have cloth diaper classes and an economical sampler pack program. Calgary Cloth Diaper Depot is a great online store (and family run). They have newborn trial packs and carry a wide variety of brands. They also offer Cloth 101 classes. Birth Source Inc. has new cloth diapering rental and trial programs. I do not know any more detail than that. I found it hard to find info on this on the website. You need to scroll to the bottom and click on the “Workshop” Link. DiaperSupply.ca has a couple different cloth trial programs. One is called the Newborn Cloth Diaper Loaner program where you can use newborn sizes for up to 10 weeks! The other is the Love it or Leave it Trial where you get one week with 10 different brands. Wipes: I make a wipe solution (from calendula, tea tree oil, water and baby shampoo) and have flannel cloths that I reuse. I just cut out a bunch of squares of flannel as this was far more economical. I know some people like to buy bamboo wipes as they are quite soft. You might want to consider having disposable wipes for the first while, again for the reasons listed above. Wipes are great for travel and being out and about. When they are really new, the cold of the wipe or cloth tends to startle them. I always wished for a wipe warmer but I do think it is unnecessary. Mine got used to it and really didn’t care as they aged. HOWEVER, a friend recently told me that she invested in one after she accidentally used cold water in her post partum peri-bottle. SURPRISE! Thus, she says a wipe warmer is a MUST! Shhh…. When/if the time comes, I am going to get one for baby 3. I won’t have much to buy at that point so bring on the un-neceassaries. Vaseline (or some kind of greasy business if you are anti-petroleum products): This is especially important to put on that little bum the first week. Meconium is unbelievably sticky and if you slick up that bottom at each change, it will be much easier to wipe the next time. It is totally unnecessary once the poo turns to the yellow, seedy breast fed baby poop. Change pad: This is a “nice to have item” because really, you could change a diaper on a bed. The ergonomically aware occupational therapist in me knows that this position is not ideal. My back gets sore after many bed or floor diaper changes. If you plan to have more than one kid, invest in a height appropriate chest of drawers to put a change pad on. You could also buy a marketed change table. Another “nice to have item” is a travel change pad that is waterproof and has pockets for wipes and diapers. You can throw this in your purse and lay it on the floor of a bathroom if you are in dire straights and there is no change table. It’s even useful for those early diaper disasters that happen and you have to change on some seat in your car. Keep in mind that these often accompany diaper bags. 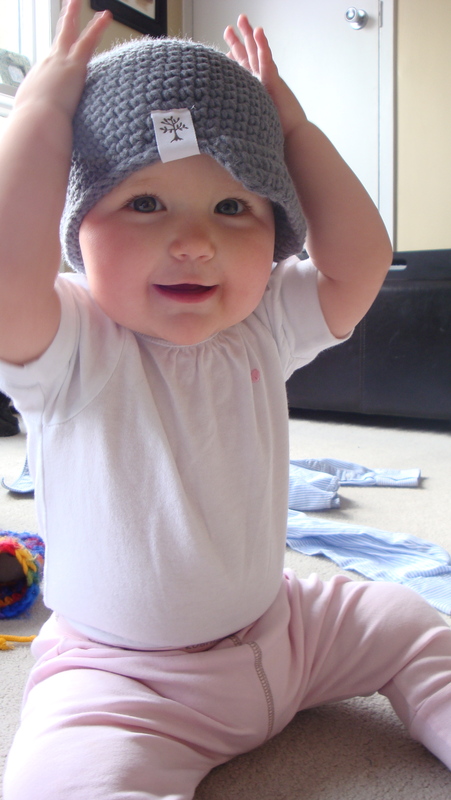 Clothes: Baby clothes are sold by weight or age and EVERY brand fits very differently. I found a big difference between 0-3 month sizes and newborn sizes. Most of the 0-3 sleepers were too big for E when she was first born (7 lb baby). Have some footed sleepers on hand and insist on zippered or magnetic ones. Snaps are extremely frustrating at 2 am. It’s dark, baby is crying and you were just up an hour and a half ago. FORGET THE FREAKIN’ SNAPS. Onesies (long and short sleeved), pants, sweaters and socks are great to have on hand. Other people love buying baby clothes, so buy less for yourself than you actually want. Shoes: over-rated. You won’t use them unless you are going to an event where you want baby to look cute. *nice to have – Paidraig slippers. My 2 kids wore these all the time. I am too lazy to fight keeping socks on them. Plus, I have a sensory problem and hate wearing socks myself. I wear flip-flops for far longer than I should given the climate we live in. Paidrag’s are super warm and the kids can’t rip them off because you tie them on. An academic note: shoes are unnecessary from a foot development point of view. 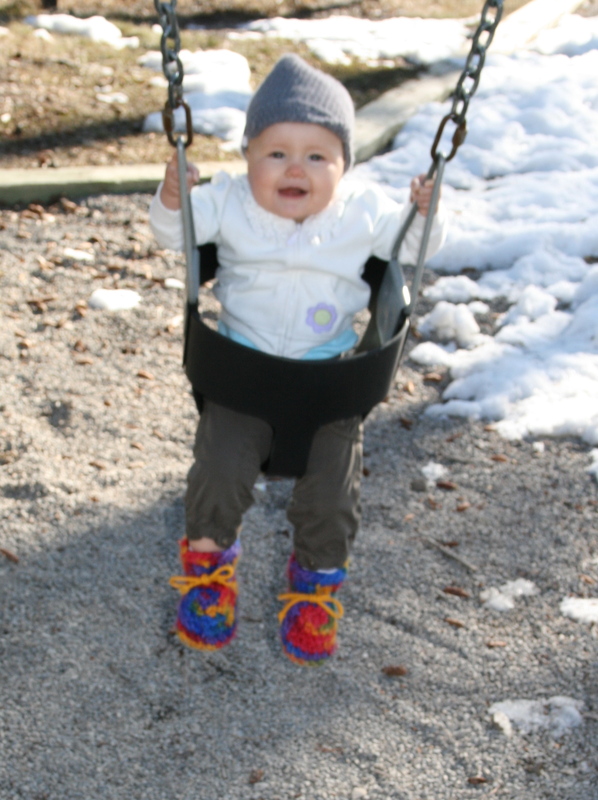 Canadian Pediatric Society recommends that shoes are not needed until the child is walking and even at that time they are for protection purposes, not corrective for flatfoot or in-toeing (2009). Oh and toques!!! How I love buying baby toques.